These autumn menu cards are a perfect matching addition to your wedding reception tables. Hand finished with ribbon. These folded menu cards are printed with your wedding breakfast menu to show your guests what they have to look forward to! We would recommend that you order one postcard for every 1 or 2 guests. 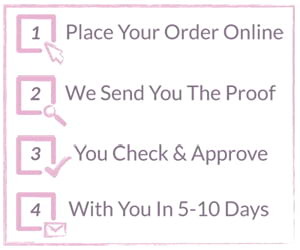 To place your order simply upload your details using the browse button below.